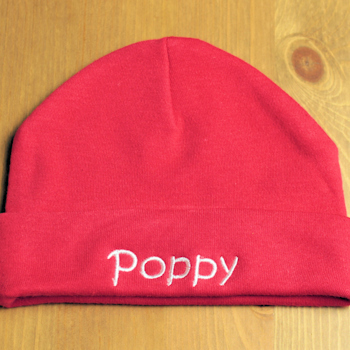 This soft cotton jersey personalised baby hat makes the most delightful gift for a newborn or baby up to approx. 12 months old. This soft cotton jersey personalised baby hat makes the most delightful gift for a newborn or baby up to approx. 12 months old. Machine washable for easy care.